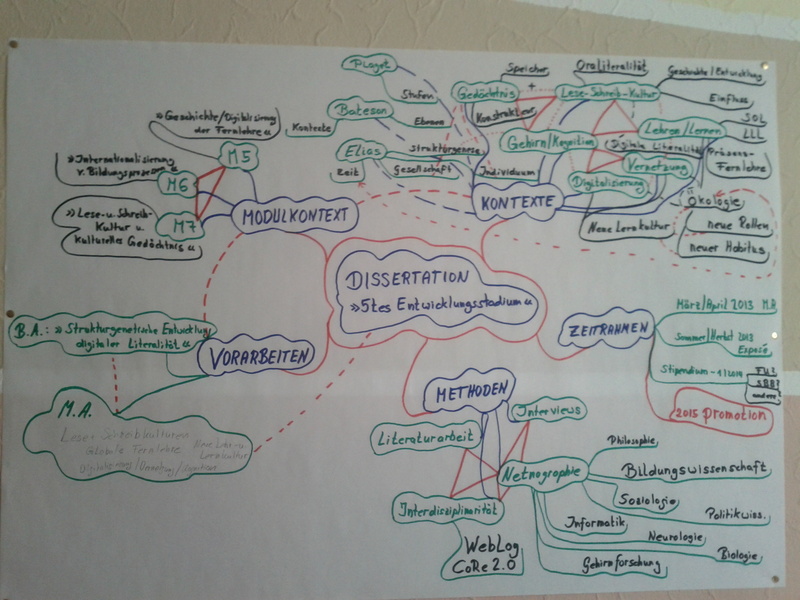 During the last two weeks I did a lot of planning and reading in regard to my PhD-Project. 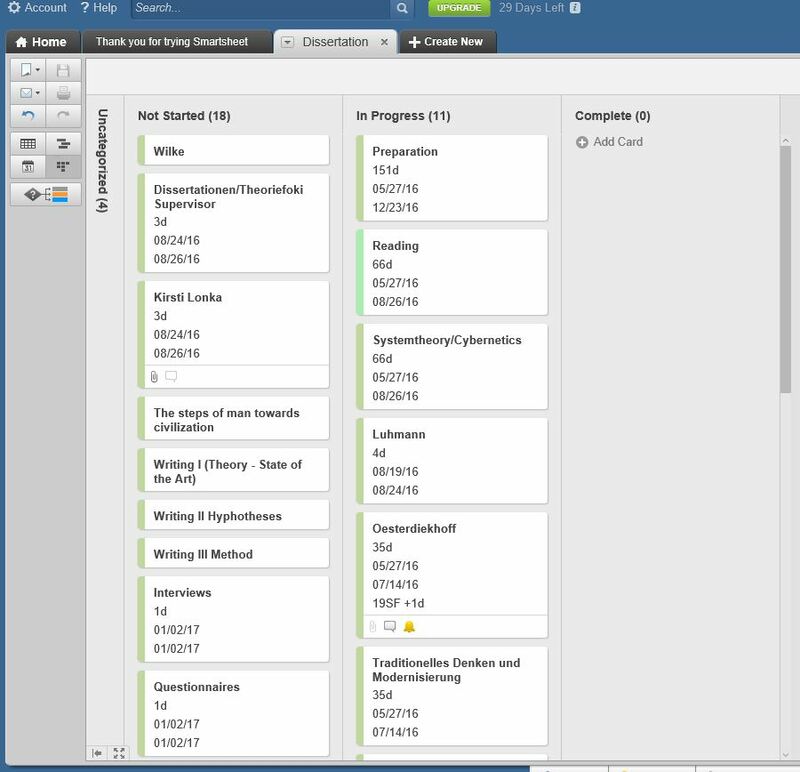 This included testing a software for project-management (smartsheet) as meanwhile I know my learning/working patterns and a structured plan (even if it has to be changed several times and is enhancing and changing permanently during a long-time-project) always helped to discover strength and weaknesses in drafts and ideas on a long-term project. Splitting my proposal therefor into milestones (1) and into a 2, max. 3 year-timeframe awoke doubts about the intended use of my methodological design I described in my proposal up to now. I am still committed to the Mixed Methods Design and the Project Plan itself, as a whole. But I think the project would benefit from splitting it into the PhD project (theoretical/analytical/conceptual) and a post-doctoral phase of conceptualization/implementation/evaluation and papers on those. as above, and then conceptualizing a competence-grid (similar/enhancing the one of my M.A. 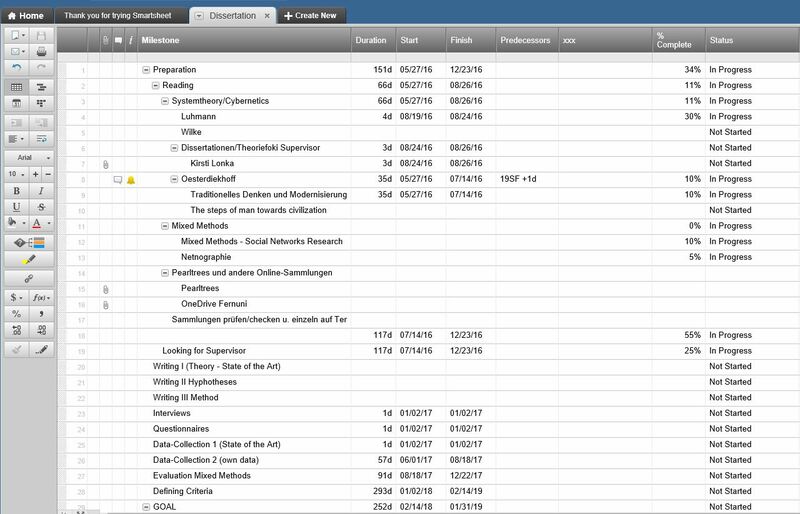 (3)) and giving concrete and detailed examples for digital tools and didactial (mathetical?) scenario to enable and foster enhancement competence through a consequent use of metacommunication on different levels and blueprints. 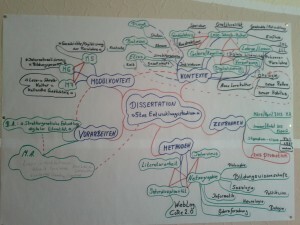 –> both meaning that the described Mixed Method Design would be the methodological frame of post-doctoral work and papers (review on existing data, own data through interviews and questionaires, conceptualizatin, implementation and evaluation of a GOAL on Enhancement Competence to combine with MOOCs of different universities from different learning-cultures) – basing on the criteria defined in the PhD Thesis. I would be happy to receive feedback on the idea of a “mere” theoretical/analytical/conceptual PhD – did someone do it in educational science? Herewith I officially declare a “mini-sabatical” as over and will restart to work on my project and plans for my dissertation/phd. Some time “off” from writing and reading was important and helpful to regain power and motivation. Especially the latter is back after a really inspiring conference in July and an invitation to submit an extended version of my conference-paper for publication in an international journal. I decided that waiting for the decision who will supervise the Phd before continuing writing does not make sense. Even though it is a little difficult to find a reading/writing-flow while “fearing” that each supervisor will have another focus or different feedbacks and critics that have to be implemented. On the other hand I really have a “Burning Passion” for my project and the idea was “born” long ago and has continually grown and enhanced during my studies and research. Therefore it is unlikely that I will decide for a supervision that would demand a totally different focus and therefore I can just as well use the time I have at the moment to work intensively on the recent idea of the project. 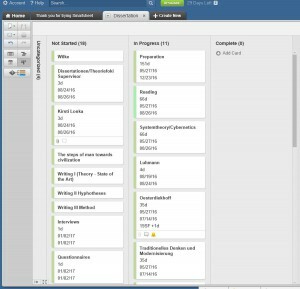 To do so I am looking for a project-planning-software – not just a “to do list” but something more complex that is able to picture all steps and tasks and milestones of my recent time-frame of 2 to max. 3 years. 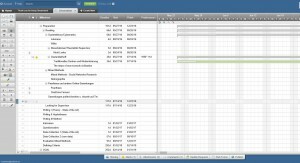 Yesterday I found “smartsheets” (http://www.smartsheetcom) and “played” with the free version which seems to be quite complex but nevertheless very usable and combinable with for example Microsoft outlook. An alternative to such a software (which is not free after 30 days – then it would be about 10 Euro per month) would be to combine OneNote/Excel/Outlook which I already owe and with which I am already familiar. 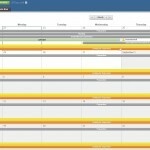 Here are some screenshots from smartsheet (results of my playing yesterday ;-)). I would be happy to receive your feedback on how you structure such a complex project of more than one year. I for my part will use the next month for intense reading, contacts to possible supervisors and necessary changes/additions to my proposal. And I will restart to regulary post on the state of the current work! 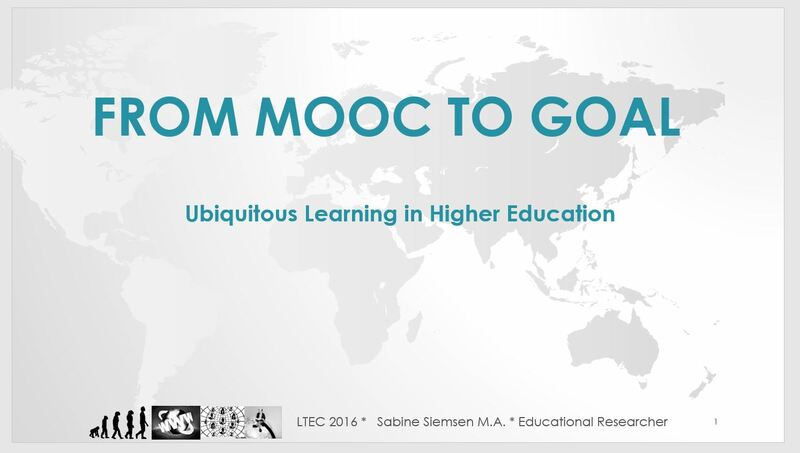 Here are the slides and the video of my paper presentation “From MOOC to GOAL” July, 2016 in Hagen, Germany. I am looking for an (internal or external) supervisor who would like to “supervise” a motivated and well prepared, autonomously and independently working doctoral-student (me ;-)). 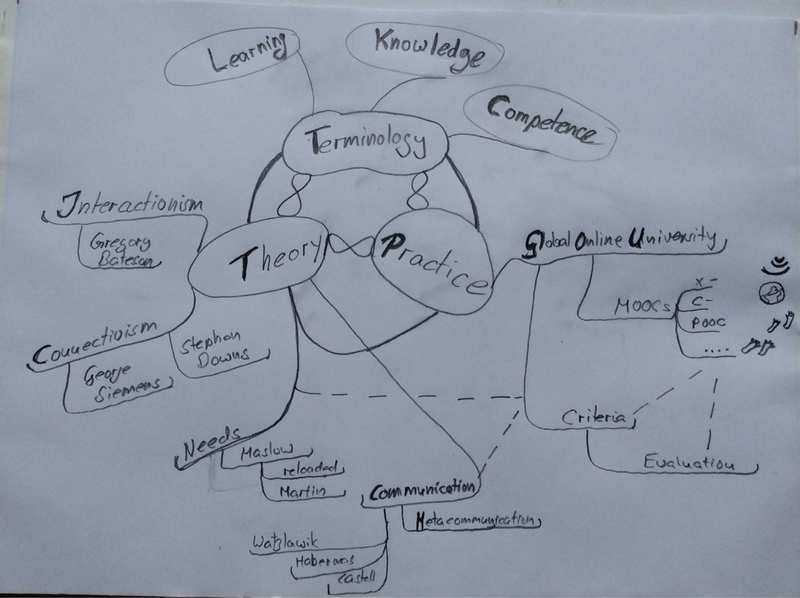 The considerations leading to a »terminology of a new learning culture« (depicted in figure 1), show the relationship and interdependency of the terms Learning, Knowledge and Competence. They depend on underlying definitions and patterns of thinking. These have to become conscious to enable all participants in global learning to networked learning processes, and a permanent regeneration of knowledge. Transferred to the context of GOAL as learning landscape for enhancement competence, developed through learning level III, and taking into account the change of roles (each participants teaches and learns; students as well as, professors, designers any everybody else being part of the system), learning III implies to change the punctuation and sequences of learning processes. This is what would happen, as soon as meta-communication would be used as tool, enabling such learning processes. Traditional (online-) courses follow a scheme of conception (technological and didactical design), implementation (learning and teaching content, exams), and formative and assumptive evaluation. The consequent implementation of meta-communication would change punctuation and sequences, as it already would have to take place in forefront of each segments. Before designing a course, designers and teacher would meta-communicate on expectations, contexts and preconditions (own and others; respectively of all involved participants). 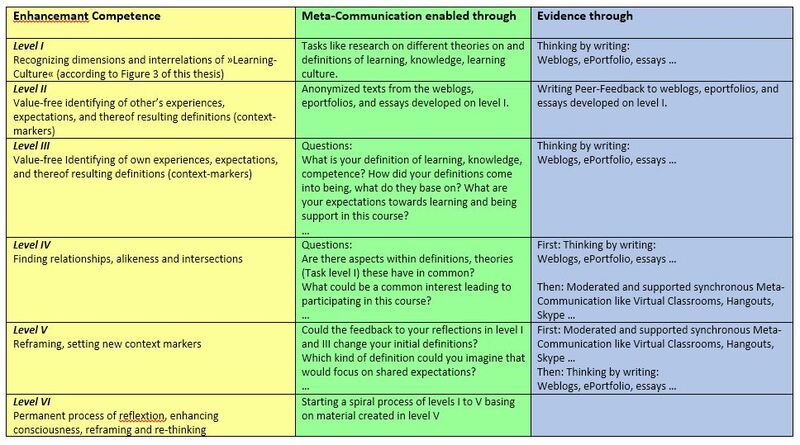 Before starting a course and dealing with content, learners would have (a coached and assisted) meta-communication about learning-contexts, experiences, expectations, which in turn will be basis for further evaluations. This way the participants are enabled to re-think patterns and reframe context-markers. A formative and assumptive evaluation will have to concentrate on interactions, patterns of communication, relations instead of focusing individual »success« or traditional outcomes. Like this, all processes of interaction would be changed in regard to punctuation and sequences, and so become a landscape for learning on the level III and for enhancement-competence. Enhancement-Competence as discussed and defined above is a key competence to learning and development – individual as well as social-cultural – that enables, or at least makes it easier, to gain other more specific competences. Because it makes different dimensions of learning-processes conscious, and – in heterogeneous learning-environments as GOAL – enables participants to recognize their own and others (often unconscious) patterns. Which in turn makes it possible to find »common interests« by resetting context markers to a common and shared initial-point for the course. 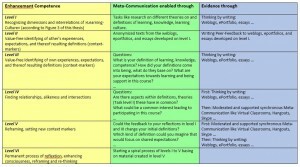 Taking the impact of terminology in account, below table 1 sets the above described and discusses terms and definitions in relationship, combining Bateson’s learning levels (column one) with examples for respective kinds/definitions of knowledge (column two), individual and socio-cultural competences (column three and four), and describes which kind of communication would be adequate (column five), which technological dimension this could be related to (column six), and which objectives underlie (conscious or unconscious; open or hidden) the respective learning-settings or institutions or theories using those. During the last years innovations in the field of eLearning have been numerous, manifold, and are raising increasingly. They meanwhile exceed former behavioristic learning scenarios and settings by far. But a danger still remaining is, to produce another premise, on which many settings in the area of eLearning and learning environments in the cloud rely: That the efficiency of courses, methods and learning scenarios can be boosted (solely) through a didactic designed implementation of new technology and tools. The above mentioned impacts on learning, like the call for lifelong learning and fast-paced changes and innovations in technology, as well in institutional as in workplace settings, are only one of many reasons for a growing heterogeneity. Caused by altered and flexible roles, and a global and open access to many courses, not only the group of learners became more heterogeneous but also the group of those taking the most influencing part in the internet (which in turn became the most important and most recently asked source for information) by producing and sharing information. This resulted in new or enlarged competencies, like being able to critically judge information, and in the need to get along with big data. And it subsequently also widens heterogeneity by widening the digital divide. As described and discussed in chapter three, learning networks are complex systems of interrelationships, and not just conglomerates of learners, teachers, and technological tools that can be regarded or analyzed as independent parts or ends of a relationship. The following sections will link the aspects discussed in chapters two and three with impacts through developments in digitalization and technology. Langer (2013), professor and educational manager, cites in his inaugural speech a weblog- article by Donald Clark, according to whom only 10 technological innovations caused more pedagogic changes in 10 years than ever took place during the last 1000 years. He listed asynchronous learning, hyperlinks, search and rescue, crowd sourced knowledge, network, blogging, microlearning, games, tools and open source. Some of them seem not really to fit to be attributed to technology and into a time frame of 10 years, as for example approaches of learning through play, search and rescue, cooperative learning and the impact of being networked with peers, can be found within the whole era of reform pedagogy which began approximately at the end of the 19th century (Eichelberger, n.d.). 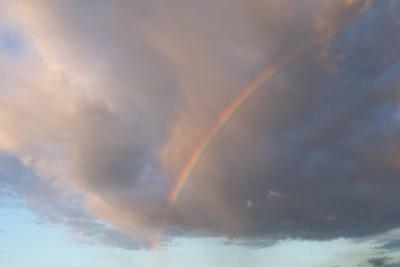 Mentioning the ideas of reform pedagogy above, leads to another correlation with today’s learning in the clouds. What makes reform pedagogy different from previous theories is that it is child-oriented and allows children to play an active role instead of “being educated”. What can be translated into a wider context as learner-oriented. A similar shift can be stated regarding the leap from Web 1.0 to Web 2.0, centering the user, and turning users into producers (or at least to give them the chance to become active). Usability becomes a keyword. Both approaches challenge authorities and call the role of experts into question. Both call for a change of established roles. However, premises about the process of learning remained more or less unquestioned. But the most significant change and challenge is not the shift from teacher-orientation to learner-orientation, but a shift in the way to define learning-processes including the enlargement of possible sets of contexts; due to the fact that learning communities in both, informal and formal settings, became more and more heterogeneous in many aspects. Technology can be regarded as context or within its context. Reducing to the first bears the danger to lead to an error that is analyzed in detail in section 7.2: to produce problems through »solutions«. The latter offers an enormous potential to implement innovations that go beyond first-order changes (compare Reinmann & Sesink, 2011, p. 126). Therefore this thesis does not focus on specific tools or technology itself, but on their context, on the »idea behind them« (OER, ORR, networks, enhanced reflection, potential to activate learning-processes). Nevertheless, changes provoked through the potentials of the internet, and even more through that what can be summarized as Web 2.0 technologies, social media and »Openness« (OER, Open Courses, Open Licensing, Creative Commons and others more) have altered roles, requirements to and definitions of teaching and learning, in formal and informal contexts, fundamentally. … on which Bates commented that “Taylor’s fifth generation is still experimental, based on a heavy automation of learning” (Bates, 2008), and applies mainly to his own institution (University of Southern Queensland). A more plausible fifth generation would be distance education based on the use of Web 2.0 tools that “allow learners to control access to learning, through social software, virtual worlds and multimedia tools such as YouTube” (ibid). A today’s definition would probably add »access to open educational resources« onto this listing. OER still remain in great parts local, respectively national, projects. For example the Austrian initiative “Become Digital” (Akin-Hecke & Röthler, 2015) supports “the way into a networked society” and recently published an ebook as a guideline for “all people just doing their first steps into an ‘online-world’”. It is written and published due to an open and collaborative process and published under the creative-commons-license CC BY SA (which is the furthest-reaching cc-license), which means you are free to share (copy and redistribute the material in any medium or format) and to adapt (remix, transform, and build upon the material for any purpose, even commercially) under the terms you give credit by providing a link to the license, you indicate the changes made (Wikipedia-Principle), and you distribute under the same license. But consequently following the ideas both of the books-content (“a guideline for all people”), as well as of the creative-commons-license going as far as allowing to transform and build upon texts, it would be just consequent to do the next step by making this addressing not only Austrians (or German speaking people) but globally. And – as the previous argumentations have shown – this cannot be done by just translating it into as much languages as possible as a mere translation never leads to transporting meaning. There has to be reflection on the contexts before, on the different meanings languages, respectively their underlying social-cultural premises, bring with them. So in the forefront of any translation the subliminal contexts of the terminology used in the original text have to be reflected (and so brought into consciousness). There would have to be (meta) communication between the authors of the original text and the translators and this would automatically lead to not only an adequate accessibility of the text for people reading it in an other than the original language, but also to a revision of the original text, because meta-communication – as shown in Figure 3 – is a process that leads to the consequent and permanent regeneration of knowledge. These reflections acknowledge and make clear the importance of the above shift in E-Learning through digitalization, as it enables to revise and expand commonly created – respectively generated – knowledge. To use tools, technology and media to improve learning in the sense of »Knowledge-Management«, to assimilate information, to practice rules/vocabulary etc. comes up to Bateson’s Level II of learning processes, often described as »to learn to learn«. This carries the danger to lead into the trap, Bateson described as at first sight giving the impression to be successful (because taking in account only a specific narrow context); but as a matter of fact being a step back to Learning Zero, which means to (re)act without the possibility of corrections even through try and error. Technology and media cannot be reasonably implemented into structures without an understanding of which kind of structural changes are necessary. Only a thoroughly reflection of this question (meta-communication on meta-contexts) will offer the frame for an adequate use of media/technology. An open mind towards and a reflected and sensible use of technology and digital tools would not endanger neither the existence of institutions per se, nor the jobs of teachers or professors, but set them free of time-consuming routine-work and for learning and living new roles like described in section 2.1. The latter can even improve technology by using it as tool to enlarge the possibilities to connect, to enhance communication, to fulfil personal needs, and to facilitate learning in heterogeneous groups in different ways; by example by translating content (no need for language competence), by globally connecting people in Chats, Virtual Classrooms, Skype, and therefore reducing the dangers that communication without seeing and/or hearing each other brings along. A science of education, respectively each science focusing on knowledge and human development, should become precursor in putting Learning III into practice: Through developing systemic approaches, not causally determined ones; through an implementation of interdisciplinary findings and theories. This would place a change of paradigm for global learning into focus, instead of isolated problems of didactic or »traditional« learning outcomes. Technology and Digitalization can enrich these approaches, if they are used in regard and relation to contexts, and with a consciousness about the impact of terminology. The following section will focus on the latter, and base its reflection and discussion on the terms E-Learning and Online-Learning (a change, provoked through digitalization and technology) upon different dimensions of what can be called »Learning«. Ehlers (2013, p. 2) use of the metaphor of ecology is a perfect »missing link« between Gregory Bateson’s understanding of the process of learning, and recent discourses on the question how the process of learning changes due to technology and digitalisation. learning as a process that enables constant enhancement by reflecting and roughly generalized »rethinking content«, whereas defining »content« as term that can include texts as well as any other explanations about »how things work« (Bateson’s Learning Level III overlapping with some of Level II). In-between and overlapping those two dimensions stands a definition of learning as »understanding«. In-between, because understanding can have the meaning of ‘just’ understanding how to correctly use formula or grammar, but it can also mark the beginning of reflecting rules and explanations, and starting to think about other ways that might be easier, better, or more adequate. Which – taking place in a heterogeneous learning-community – will (or at least has the potential to) lead to including and reflecting more and more different contexts and to become aware of one’s own as well as of other’s context-markers; which is, what was described above as a Learning Process of Bateson’s Level III. Cutting across the above described dimensions stands the terminology of E-Learning or Online-Learning. Literally taken, the term E-Learning does just describe the fact that a learning-process includes the use of electronic tool. It ranges from using learning-programs which can as well be offline (CDs, DVDs) as online. Online-learning implies the use of the internet. But both do not give any description of the learning-process and interactions that take place (or do not), and that constitute the process of enhancement and dealing with content. But the common use of the terms, and the arrangement of the word-combinations »E-Learning« and »Online-Learning« implies that these are specific kinds of learning-processes that differ in fundamental aspects of the process of learning – and not only in aspect to technological tools included into the process. Up to now there is no study or evaluation that would show such a correlation. 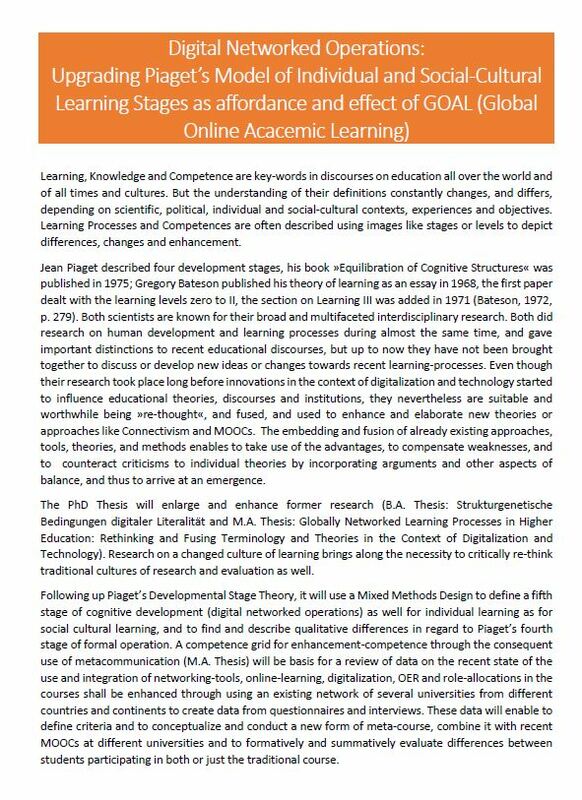 Therefore the subsequent parts of this thesis will prefer the use of a slightly altered term, by changing the word order to »learning online«. On the one hand this little change in terminology makes clear that it is about learning-processes (that may differ fundamentally as described in section 3.1) that take place online; and not about a new kind of learning-process. And on the other hand it is a portent of the idea that transferring the different kinds of learning-processes into the environment of a virtual global network could offer a potential for those that is not found in traditional »nonline« environments. a certain level of »media-competence«. 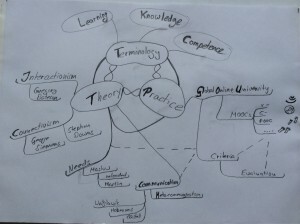 Connectivism as „A Learning Theory for the Digital Age“(Siemens, 2005) therefore developed the concept of MOOCs – a model to generate knowledge in and through network. The following section will argue – similar to the hypothesis that the competence »to learn to learn« is not sufficient to come up to the affordances of a new learning culture – that MOOCs, at least in the recent form of various and up to totally different didactical designs and conceptions – are rather an impulse for than a result of changes, necessary to become adequate learning environments for a new learning culture. The above description contains many aspects of what was described in chapter two as being crucial factors for a new learning culture that enables to generate knowledge through Learning III (see section 3.1). What is lacking, is an explanation of how to use the named pieces of the puzzle (OER, digital tools, social networks, new roles, altered learning-processes), to enable learners to become self-organized, to adjust their individual (conscious) and social-cultural (often unconscious) learning goals and prior »knowledge«, respectively experiences, with those of the others (other learners, providers, teachers; possibly or probably being different). But as discussed above, a »common interest« cannot be just implied, but has to be worked out through meta-communication, before dealing with whatsoever course-content. Buss words like knowledge society or network society and their impact on and challenge to anyone producing and offering educational courses and conceptualizing learning-settings, illustrate the importance of these changes to the whole educational system and to all sciences being engaged with learning and knowledge. Different approaches, not all of them new, already try to meet and master these transformations, through different didactical changes in the way learning is fostered, and knowledge defined. The method of learning by teaching (compare Martin & Kelchner, 1998 and Chinese University of Hong Kong – Department of Physics, 2009), or the concept of the flipped or inverted classroom (compare EDUCAUSE Learning Initiative, 2012), or research-based learning are examples for such approaches. 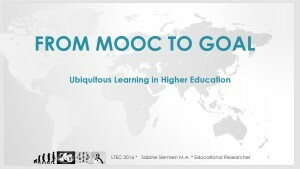 While these can be adapted from traditional institutions (universities) to (try to) adapt to (their definition of) a new learning culture, the example of MOOCs presents an approach that could have the potential to become a disruptive innovation. It is self-evident that questioning premises and rethinking learning – which is what MOOCs have in common – provokes fear and offense, and meets with criticism in traditional settings and long-established institutions. Its success will depend mainly on the question if MOOCs will be able to resist becoming just a new name for a concept that will be nothing else than a technological description of a variation in eLearning/Online-Learning (described above as being a rather technological addition to various processes of learning), and to succeed in becoming a really innovative approach for Learning Online as Global-Online-Academic-Learning (GOAL) with all its potentials regarding heterogeneity, a changed learning-culture, and the need for critical and conscious rethinking and generating knowledge through enhancement-competence. A commonly used point of criticism to the hitherto existing MOOCs is the immense rate of »drop outs« and the small rate (in comparison with the number of participants and the claim of being a massive course) of participants who complete the course. But acting on the assumption of a new learning culture, as described above, GOAL must consequently bring about a questioning of traditional definitions of educational objectives and learning outcomes. Success can no longer be reduced to »finishing« a course within a fixed time by passing through a determined content. GOAL reaching its objectives won’t end with a group of learners having gained or reached the same knowledge. It will have been successful when new knowledge has been collectively generated, when each participant has enhanced his individual knowledge and shared it within the community. Heterogeneity of a learning community implies different criteria for success. Success is when knowledge has been shared and created and premises have become conscious and were changed, when one succeeded in »learning how one has learned to learn« (Learning III). The point in time and correlation to specific modules will be as heterogeneous as the learning community is. Another highly controversial issue that affirms the above statement »terminology shapes thinking« is about the form and shape of MOOCs, expressed through prefixes or alteration of the acronym. 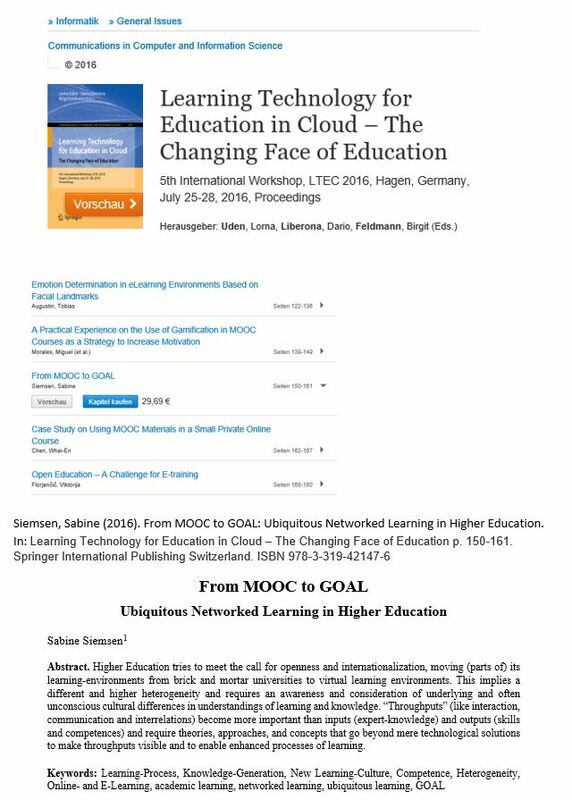 Proponents of xMOOCs and cMOOCs both claim having found the one and only MOOC-Modell, the former often accused not to be something new at all and just traversing conventional or even outmoded concepts into the clouds to save money; the latter accused to lack in didactics, to be chaotic, unstructured, and therefore overwhelming students, instead of being conducive to learning processes. Others get down to the conclusion that open online courses should not focus on being »massive«, and instead try to become »personalized«. POOCs instead of MOOCs. They state that the great potential of digitalization remains unused, as long as everyone is expected to learn the same thing in a uniform manner, while having totally different preconditions and ambitions (Dräger, 2013). Even though this conclusion meets the arguments about a new learning culture presented in this thesis, massive does not inevitably exclude personalization, just as cooperative learning does not exclude individual learning. As worked out before, the main focus of a new learning culture, in which heterogeneity is regarded to be source and potential to generate new knowledge, lays on a comprehension of learning as a process that enables to become aware of previous premises, and to create cooperatively new context markers as a basis for learning and generating new knowledge in networks. As this implies that traditional roles seem to merge, everyone in a learning setting can be regarded as a learner, as a part of the learning community. This has to be of greatest importance for the design of learning settings, and it consequently eliminates at this point all courses, which just transfer traditional lectures from the auditorium of brick and mortal universities into the cloud. For the same reasons, courses that separate the (learning) participants from the (teaching/performing) lecturers, and exclude a communication between those from the very beginning, can evidently not lead to this enhanced comprehension of learning and creating knowledge. 4.4 Competent for or Through GOAL? Talking of MOOCs as a recent example, leading over to a more holistic approach of GOAL, makes clear, that the above quotation could apply to participation in GOAL as well. Many recent discourses on MOOCs try first of all to find reasons why participants are dropping out. Especially when talking about cMOOCs, a common criticism is that participants have to face an overload of information, get lost within the multiplicity of learning-environments, respectively social networks, and therefore cannot concentrate on contents or just are not able to define those clearly enough. Analyzing discourses on this topic, these challenges (or possible barriers) usually lead to talking about media-competence. German (speaking) discourses use to base or build on Baacke’s (1973) four dimensions of media competence that are media critique, media knowledge, media use and media production. While the dimensions of media knowledge, media use and media production fit into the above (section 4.2) described dimensions of rote learning/ learning I/learning II, whereas media critique could reach the level of learning III. Analyzing the above described problems when trying to participate in a MOOC (or GOAL) has to take a closer look particularly on the dimension of media critique, as the ability to choose information, and to choose which channels of social network platforms can be helpful and personally fitting, a critical reflection is crucial. Pietrass (2007, p. 4) concludes that “Media critique is a competence which is not based on communication, such as producing and handling. Instead, it is what media competence allows man to be: a critical actor in regard to media communication.”(Pietrass, 2007, p. 4) Following consequently the central theme of this thesis, namely that learning, (generating) knowledge and competence is a spiral process within a system where each change in one component leads to changing the other components, shows that this conclusion leads into a trap of linear thinking. As competences presupposes learning, and as reaching new learning levels results from including other contexts, and (meta)communication being the »tool« that enables setting new context markers, a competence that “allows man to be a critical actor in regard to media communication” (Pietrass, 2007, p. 4) cannot “not base on communication”. Being a critical actor therefore has to include being critical aware of own and other’s premises on knowledge and learning. This has to base on communication in order to lead to “media communication” that comes up to the expectations described. This reveals another aspect of high relevance in regard to the interplay of (meta) communication and the importance of the dimension of media critique within a model of media competence: That of changed roles (see Chapter 3.1). If (meta) communication is described as the tool, enabling learners to critically reflect on underlying premises, on different understandings of what learning, teaching and knowledge is; one of the most important tasks teachers have to accomplish is, to help and enable learners to such kind of communication (competence for global online-courses) in the forefront of trying to »teach« specific howsoever »competence-based« course-content (competence in global online-courses). A shift to competence-based learning in higher education, especially for GOAL, has to consider not only which competences learners should be enabled to gain through the course, but also if there are competences that would be needed to participate in a course taking place in a virtual learning environment, being open to learners that are heterogeneous in various aspects and levels, and offering a maximum range of flexibility and freedom of learning (which is just the other side of challenging with a maximum need of not only self-organization, but also self-motivation, and orientation in different communities and platforms, and a capability to critically deal with an overflow of information). Looking for solutions, a first step might be to enlarge the question from dimensions of media competence to the question which competences would be needed or helpful to overcome first barriers when stepping into a new dimension or category of learning. A closer look to the introductory quotation from another point of view can be helpful. As GOAL aim to be learning landscapes for enhancement-competence, they are per se “emergent, fragmented, diffuse, and diverse” (McAuley et al., 2010, p. 5). And this is exactly what makes them to perfect learning environments for learning processes of Bateson’s Level III, as each of the mentioned aspects offers enlarged contexts, and the potential to rethink and reframe learning, and to set new context markers. The initial question »competent for or through GOAL« turned out to be a question that cannot be clearly answered. Competence is a spiral process without a clear cut beginning and end, and is cannot be condition neither to enter learning, nor to a fixed result of a learning process. Only through fusing it with definitions of learning and knowledge it can become a helpful term to analyze GOAL. 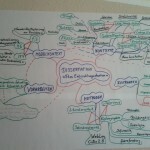 http://donaldclarkplanb.blogspot.de/2011/12/more-pedagogic-change-in-last-10-years.html – and an example for the need (and already existing praxis) to include “non-traditional-scientific” discourses as mentioned in the introduction of this theses. Which requires reflections through meta-communication about social-cultural meanings of terminology in the forefront of mere translation. Section 6.1 will deepen these aspect. Section 6.4 will provide some criteria to analyze courses in regard to such barriers. A happy, and curious, and enhancing, and exciting 2016 to all of you! I hope it will bring – beside many other things – the opportunity to meet many of you in person again, somewhere around the world, to exchange questions and ideas and maybe even some solutions on learning processes in global online academic learning. I look so much forward to it. Personally this year brings two crucial challenges and changes and chances for me: End of march I will leave the distance university in Hagen – something that I thought would not happen before having finished my doctoral thesis, maybe even not then. Well, “real life” is what happens while you are constructing plans :-); new professorships can bring about strange stuff policy and arguments … but I am optimistic and curious about new opportunities, and ways, and doors that open when others close. 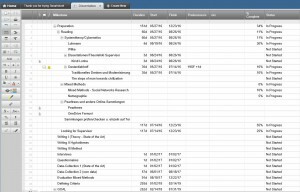 My doctoral thesis or PhD will become first priority this year, as in Germany there are (amongst others…) some strange politic and rules for people working at universities before having finished their thesis. You have only six years, after this six years no university is allowed to give a time-limited work-contract (and others do barely exist…) before your PhD or Doctoral Thesis is finished. And as I started to work at the distance university directly after having had my B.A. and – during my M.A. – had two hard years which were almost lost for scientific work due to a threatening and exhausting stalking problem, now there remain only maximum narrow two years at German Universities before having my Dr. or PhD. On the other hand I recognize more and more that – in the context of my research interests (changed learning processes in the context of academic learning and digitalization and heterogeneity) – the really exciting and fascinating and interdisciplinary research does not yet really take place in Hagen and – with some exceptions – not even in Germany. Too many fights between institutions, politic, disciplines are more about terminology than about the processes behind those, and hinder research to become really global and interdisziplinary. So maybe this is just the right time to become free(er) in research and work to be able to look beyond one’s own nose and to go beyond narrow boarders and restrictions. My year ended with a heavy influenza but as soon as I am recovered again and able to concentrate and read and write I will be busy with following up my plans. First there is lot of literature, in paper and of course online, to catch up with the state of art of my theme. I love to bring loose ends together, to find connections and fuse ideas and theories and models to arrive at emergence. This kind of research will probably be the main work of the next months. Before I write about this process I will finish the publication of my Master-Thesis here on my Weblog. Going along with this work I will try to submit some papers and articles for journals as for example the next LTEC/KMO in Hagen. I really, really hope to able to participate and help regardless of not being employee of the distance university at this time. Other conferences abroad would be great and important too, but this will depend on my future professional perspectives and means. No matter what happens I will go on learning, doing research and following up my plans and ideas. I am happy and proud that so many of you have been and will go on to be part of this process!